Later, he travelled to England and led the Anglo-Canadian group Maple Oak, the band formed by ex-Kinks bass player Peter Quaife. The band issued a rare and now much sought after single for Decca and an album (recorded after Quaife’s departure) before the remaining members returned to Canada. Thanks for thir rarity, Marios! Formed by ex-patriate Brit and ex-Kinks bassist Peter Quaife and ex-Just Us bassist Stan Endersby who met while Endersby was in England in 1968. 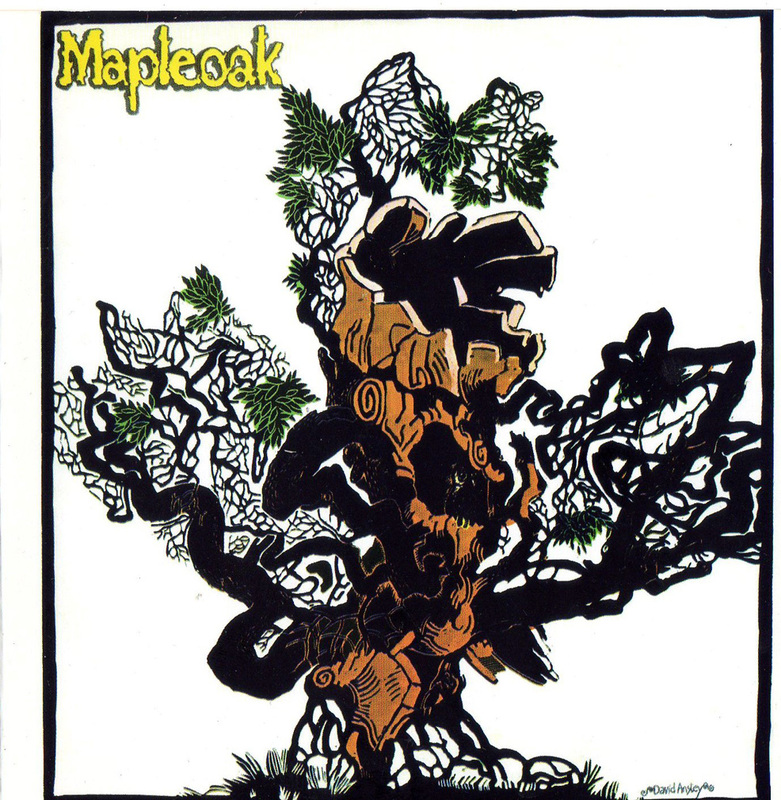 Maple Oak was a collaborative Canadian/UK hybrid that took six months to come to fruition with Endersby and Martin Fisher (ex-Flying Circus/Olivus/Bobby Kris & The Imperials) going to England to team up with Quaife in April 1969. The band was revealed to the world in the centre spread of NME on 3rd April, shocking the members of Quaife's former band The Kinks. They embarked on a tour of Denmark during May 1969 but after the tour Cook left and Fisher brought in fellow Canadian and former bandmate MacBain (ex-Flying Circus/Olivus/Bobby Kris & The Imperials) as a replacement. Alas, Quaife departed shortly after the release of their single "Son of A Gun" in early 1970. The group carried on as a trio (with Fisher also covering bass duties) and recorded their self-titled album which was delayed until early 1971 while they battled with Decca Records by which time the group had split and returned to Toronto. The album features some early Bruce Cockburn songs that the writer never released himself. Back home, Endersby formed Heaven and Earth with his former Just Us/Tripp/Livingston Journey cohort Ed Roth. The band also comprised ex-The Paupers bass player Denny Gerrard, drummer Pat Little from Luke & The Apostles and Chimo!, guitarist Gary Holmes and future Motown star, singer Rick James. The group issued two singles for RCA in 1971. He also played in Bruce Palmer and Dewey Martin's Buffalo Springfield Revisited during the '80s and has played in a reformed Ugly Ducklings line up; Quaife also lives in Toronto and works as an airbrush artist.